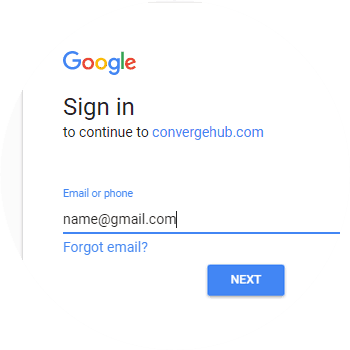 ConvergeHub CRM connects seamlessly with Google Drive (the cloud-based documents management solution by Google). 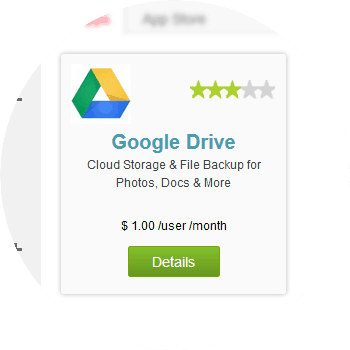 It’s easy to keep your files synchronized in the CRM with Google Drive. 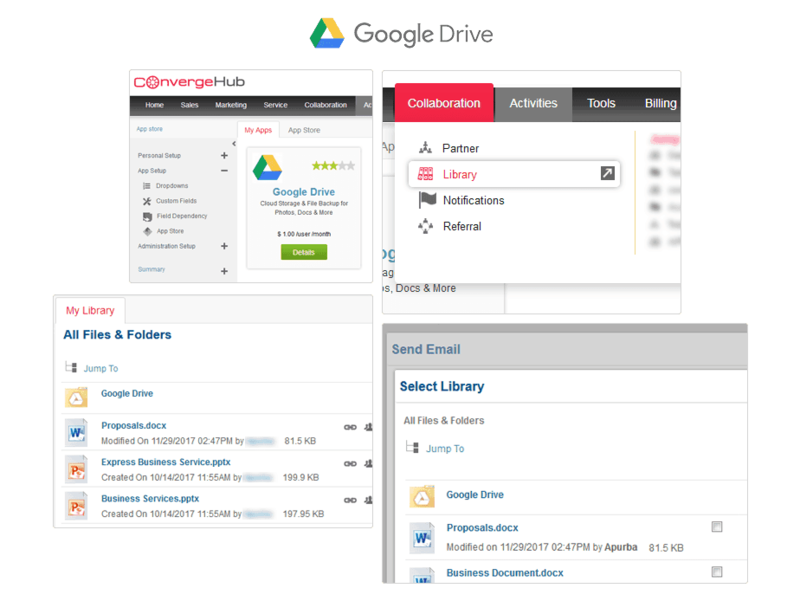 Google Drive integration for ConvergeHub CRM allows the users of your CRM to share, sync, manage and access files associated with records through Google Drive right from within your CRM account. All attachments from your respective CRM records gets stored and synced into your associated Google Drive account with the help of this integration. 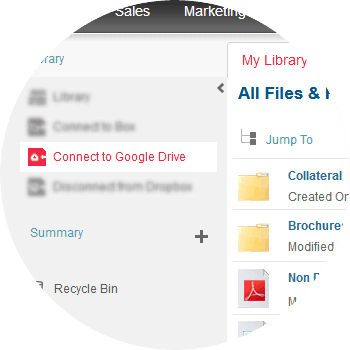 Use the Google Drive sync to access your Google Drive documents from within ConvergeHub CRM. Create direct links between your online documents and individual contacts and deals so that you can always find them when you are referring that contact or deal records. Just navigate to the record that you want to see and you will view links to any available documents in that record. Once you integrate and establish link to your Google Drive documents, ConvergeHub CRM stores links of those documents and make them accessible for use by your colleagues. 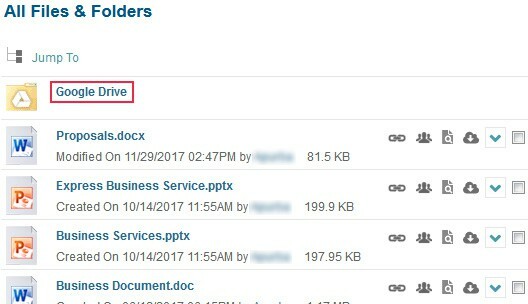 This way your team members can find link to most used documents themselves, saving you the trouble of finding them for them each time. 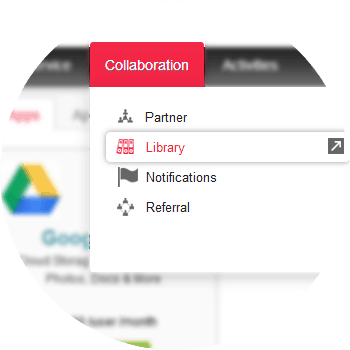 For connecting your Google Drive account with ConvergeHub, you need to navigate to the Collaboration menu and then click on Library, which is listed under it. 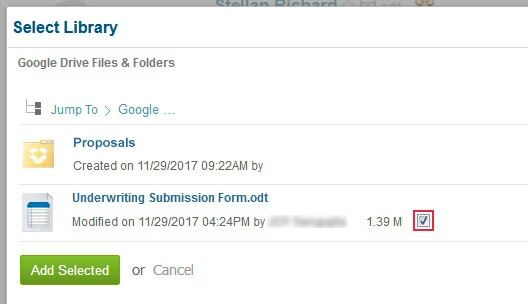 Click on Connect to Google Drive, which is available in the left panel. If you have pop-up blocker in your web browser, then allow the pop-ups from ConvergeHub. Providing the necessary authorization will get you linked with the app. You can use your Google ID and Password, which will help you to connect all the files that you have stored in your Google Drive account or even upload new files for sharing with your team, business partners, leads and customers, and keep the files for your future use.